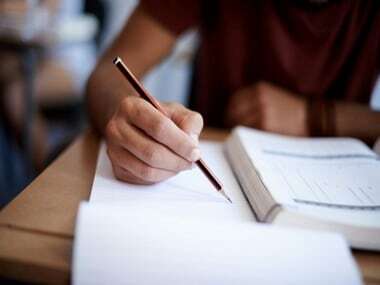 The Central Board of Secondary Education (CBSE) announced results of the Class XII board examinations on Sunday, 28 May. 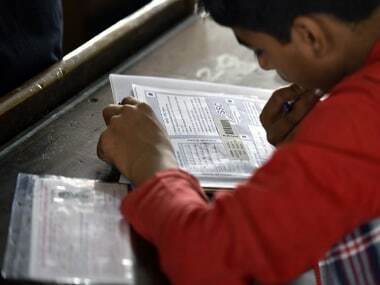 The exams, which took place from 9 March to 29 April, finally saw the results being declared amidst the marks moderation debate and examination delays due to the Assembly Elections. 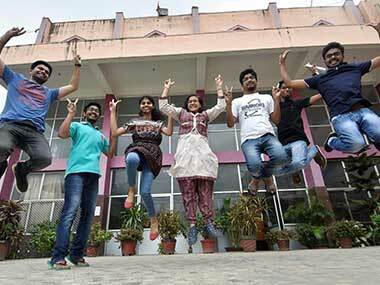 Raksha Gopal, a 17-year-old girl from Noida, topped the examination after scoring 99.6 percent. Here are some other interesting facts and statistics about the CBSE results this year provided by the board through a press release. Over 10,673 schools had their students giving the exams this year, the examinations were held in a total of 3,504 exam centres. Students who registered for CBSE in 2017 stood at 10,76,761 out of which 10,20,762 appeared for the exam. Of these students, 8,37,229 passed, giving a pass percentage of 82.02 percent, which was a 1.03 percent drop from last year's 83.05 percent. Thiruvananthapuram has the highest pass percentage at 95.62 percent, followed by Chennai with 92.60 percent and Delhi with 88.37. Girls did better than boys this year by 9.5 percent, with 87.50 percent girls clearing the exams as against only 78 percent of the boys. In 2017, 2,517 differently-abled students registered for the exam, out of which 2,449 appeared for it and 2,123 passed. Their performance saw 86.69 passing percentage. Raksha Gopal from Amity University (Delhi Campus) was the 2017 topper with a result of 498 marks; Bhoomi Sawant from DAV Public School (Chandigarh) clinched second rank with 497 marks, and the third rank with 496 marks was shared by Aditya Jain and Mannat Luthra, both from Bhavan Vidyalaya Chandigarh. There was a lot of apprehension about the competitive results following the marks moderation row, but 63,247 students scored 90 percent and above, and out of those, 10,091 scored 95 percent and above. The toppers in the differently-abled category included Ajay R Raj from St Thomas Central School (Thiruvananthapuram) at 490 marks, followed by Lakshmi PV from Palghat Lions School in Kerala with 486, and Dharshana MV from Nalanda International Public School in Tamil Nadu, who scored 483 marks. There were 125 students who scored above 90 percent, and 21 who got above 95 percent in the differently-abled category. The percentage of students who will have to appear for the compartment examination stands at 9.73 percent, with 1,03,855 students in all. 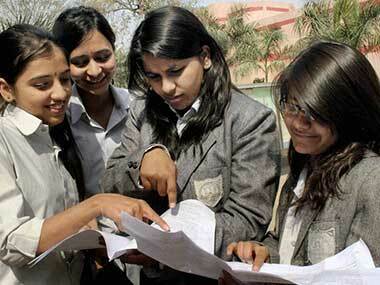 Students can check their results on the official CBSE websites, results.nic.in, cbse.nic.in or cbseresults.nic.in. In case candidates wish to apply for procedures like re-evaluation, the steps for the same will be available on the CBSE website cbse.nic.in. Go to results.nic.in or cbseresults.nic.in. Enter roll number and/ or your date of birth. The page will be redirected to the result page. Download the result and take a printout.